You just created your brand new website now you need to know the best WordPress plugins to use. With over 50,000 WordPress plugins it can be a little overwhelming for someone just starting out. This guide will take you through not only the best plugins but also those that you should consider essential for starting your online business. 2. WP Forms Lite (Free). Can upgrade to Pro. 3. WP Smush Image Optimization (Free) Can Upgrade. A plugin is a piece of software containing a group of functions that can be added to a WordPress website? They can extend functionality or add new features to your WordPress websites. They can offer and improve security, forms, SEO, page speed and just about anything you can think of for a website. However, be aware that the use of too many can impact your site speed and that can mean the loss of visitors and high bounce rate. The total number to use depends on your site and what you need, but the general rule of thumb would be between 5 and 10 – but this is just a personal choice, try things out, see what works. Different websites and different Niches may require different plugins, however, there are some plugins that every blog should consider. 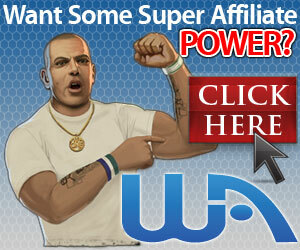 This post will include Free plugins and some that are paid to upgrade for more features. This list includes some of the best WordPress SEO plugins, security plugins, speed optimization plugins, marketing, and social media plugins. These plugins will help you to make your site robust, secure, SEO friendly and complete. I’ve spoken about Yoast SEO in a previous post, Free SEO Tools and I just love the plugin. Everyone will tell you that to help with ranking on the Search Engines you need to optimize your SEO. This plugin has it all for me. I write my posts as naturally as possible without concentrating on filling all my content with keywords. The Yoast plugin lets me know if the SEO and Readability of my posts are good or not. You can see if your post title and Meta description are SEO friendly. Adjust your title and description to suit your needs. Yoast SEO checks the content of the post and feeds back if it will be readable to the visitor to your site. Not everything has to be Green but try for as many as you can. As you can see, in terms of readability the plugin is looking at sentence length, paragraph length etc. It’s a guide but it helps a lot. Finally, Focus Key phrase. This is the SEO friendly keywords you want to use within your post for ranking on the search engines. In this case, I used Free SEO Tools as my key phrase. It tells me I could do with more key phrases in the higher level sub-headings. I could also work on my image Alt Attributes but everything else is good. In conclusion, I wouldn’t want to be without Yoast SEO as my go-to SEO Plugin of choice. Over 1,000,000 people can’t be wrong. All websites need a contact form. It makes it so easy for your visitors to get in touch with you. WP Forms is, without doubt, the most friendly contact form plugin with its easy drag and drop form builder. You can create simple contact forms, payment forms, polls and just about any other type of form you can think of for your website. Set up a new form using one of the templates. When you’re done, just create a new page in WordPress, name it, hit add form and insert the form you created. Once again, this is a great plugin. There are many forms plugins on the market but I think the users and feedback speak volumes for the ease of use of this plugin. Images can significantly slow down your website which is why it is essential to save all your images optimized for the web. Resize, optimize and compress all of your images with a powerful and free plugin. WP Smush has just a few settings that need to be configured but it is really very simple to use. It has a slider to enable automatic compression – the creator calls it ‘smushing’. This is one of the nicest features because once you have it enabled, the plugin will automatically compress new images as you add them to your WordPress media library so you don’t have to worry about doing anything automatically. When you add an image to your WordPress library WP Smush can resize it automatically for you. Full image resizing is a great feature that takes the worry away for you. The plugin also detects what the current maximum image size your theme is set to display so you have an idea of what to set your maximums at. The great thing here is that once set you can forget everything as WP Smush will do the work for you with all the images you add. If you have just added WP Smush to your WordPress site and you are already up and running it has a great feature call Bulk Smushing. You should only need to do this as a one-off but you can have it resize and compress all your current images with the click of a button. On the free option, you get to ‘bulk smush’ 50 images at a time. But you can do them over and over so if you have say, 200 images, you just run it 4 times. With Premium, you can do the lot at once. If you have Yoast SEO installed you might quickly learn that there isn’t an easy option to link your Google Analytics to your site. This is where Analytify comes in. Analytify is one useful WordPress plugin for Google analytic users to check Google analytic stats right from the WordPress dashboard. Which means you can see you Google Analytic without having to leave your site. It also lets you check individual posts/pages stats from the post editor section. I know that MonsterInsights is a hugely popular plugin and I tried it previously. Unfortunately, I couldn’t get it to link with my Google Analytics account, which I believe has happened to a few people. I stumbled upon Analytify and I’m glad I did because it has turned out to be a great addition for me. It’s an easy to use social media plugin for WordPress with tons of options. It comes with support for many social media websites, and you can add buttons in post content as well as a sticky floating social menu. I know there are so many social plugins out there. I have used a few. Sassy Social Share is the one that I settled with and I like it a lot, as I found it easy to set up and it seems to suit my website. Like everything, it’s a personal choice. For me, I just like the options available to me and it’s very easy to use. Excessive load times can harm your website in more ways than one. There are quite a few ways to improve your site’s speed but caching has the greatest impact. WP Super Cache is easily the most popular free caching plugin. It works by creating static HTML files that are stored and served to visitors as well as caching and displaying files tailored to individual users. The plugin is customizable and is a useful tool for both beginners and experts. It comes with three modes you can activate — Simple, Expert, and WP-Cache caching — so you can choose the best option for both your site and your level of expertise. Once again, the choice of a plugin is up to the user. This is my preference and works well for my site. Akismet is one of the default plugins of WordPress that comes with every new WordPress core installation. It is basically an anti-spam plugin which checks all comments and filters out the spammy comments. The plugin provides a status history for each comment so that you can learn which comments were found spammy by Akismet. The plugin is free for the personal site and blogs while you have to subscribe to its monthly plans for commercial sites. Premium plans provide advanced security solution besides spam protection. MailChimp is one of the most popular email marketing services to manage subscribers, send emails and track results in the bulk. On the Free version, you can have up to 2,000 subscribers which is great if your just getting started. To integrate MailChimp for a WordPress site is really easy with the plugin MailChimp for WordPress. It’s a free plugin which allows you to add beautiful subscription forms to your blog. The plugin lets you create beautiful opt-in forms to add more subscribers to your email list. These are just a few of my personal preference WordPress plugins that I use/used on my website. There are a lot of plugins out there and a lot are a personal choice of the user. However, some of those outlined above are hard to better in their areas. Do you have a plugin that you love and want to share in the discussion? Please leave your comment s below and I will respond to everyone who does. Good luck with your website building plugins. All of these plugins seem like they would be great. I will be checking out Yoast SEO plugin as it looks like it is easy to use and very helpful. Thanks for making the point of not using too many plugins as it could slow down your site and it won’t load very well. I think at the moment I have 5 that are active on my site. So if I add the Yoast I may need to remove one of the other ones. But I will surely give it a try. Hi Wendy, thank you for the comments. Yoast SEO is an amazing tool and it really has helped me so much whilst writing my posts – I would definitely recommend. Don’t worry about dropping a plugin to fit Yoast SEO in as it may not make a difference at all. Different themes will have an impact as well as the fact that sometimes it’s because certain plugins don’t do so well with others. I’m assuming you already have All in One SEO installed, so Yoast would replace that if you decided to install it anyway. Hi Mark, what a great post you did, I save it right away in my favorites bar, I love the information presented and the clear comparisons that you did. I hope to see more valuable articles like this one in the near future. I am also starting in the online marketing world and I was looking for some good plugins, I feel lucky to had found your recommendations, I wish you the best bro. Hi Jerry, thanks for your kind comments. If you’re just starting out and you have bookmarked my site then keep an eye out for some of my upcoming posts looking at keyword research – it’s going to be very interesting. Or alternatively you can check out some of my other posts for people just starting out. I use WordPress for my website too. I only have two or three plugins. This article has introduced me to so many different kinds of plugins which can be really useful and essential in the development of my website. By adding more plugins doesn’t the speed of the website goes down? Looking forward to your response. Thank you so much for sharing this article. Hi Sujandar, thanks for the feedback and question. You are quite right that too many plugins can slow your website down so it’s a case of checking your website speed regularly and understanding what may be slowing down your site. It might not always be the plugins – for instance, large images can slow your site down a lot, especially if there is a lot on your site. Therefore, a plugin like Smush that compresses images may actually help speed up your site rather than having a negative effect. I generally say that I will use plugins that have an effect on my site and not use the ones that are there just to make it look fancy and pretty. People generally go to your site to read good quality content, and if the content is great, they don’t really care how the site looks (within reason). I’m new to everything blogging and social media marketing. I believe I’ll find this article very useful in the near future. I’ll be bookmarking your page to make sure I keep this in mind. Are this plug ins free or do I have to pay to install them on my blog? Hi Louis, thanks for your comments. All the plugins are free to use. Some you can upgrade to Premium and have to pay but I find the free version will normally do what you need it to do. Thanks for bookmarking the page – if you ever need any more tips then feel free to check out my other posts. They are all written with the intention of helping people new to blogging and online business. Do you think all-in-one seo plugin is better than Yoast SEO? I’m unsure whether to select and install one or the other. If I install all of your recommended plugins. Do you think I will stand a good chance of succeeding with my blog online? How many plugins should I have installed, or how many is too many in your professional opinion? Hi Benji, thank you for your questions. For the SEO plugin I would suggest it’s a personal choice. I used All in One and had no issues with it at all. I just found that when I starting using Yoast I liked how it performed for me. Other people prefer other SEO plugins – you just have to assess what works best for you. I wouldn’t personally install all of the plugins I recommended. It depends on what it is you are trying to achieve and how you want your site to look and perform. I terms of plugins being installed on your site, I wouldn’t tell you to install a certain number. I would install what works for you, decide if some are actually really needed and keep a check on your site speed. I have heard that some plugins don’t work effectively together so I would always check site performance on Google Page Speed Insights or something similar. Thanks Dale, I’m glad the post was of some use. You are absolutely right when it comes to choosing plugins carefully. What works for some people may not work for others and of course, we all like our own personal favourites. Awesome article about WordPress plugins. I just installed YOAST SEO yesterday and absolutely love it. I find that it is very user friendly and really helps show what is needed to make sure my post is SEO optimized. I also plan on trying the forms plugin so that I can grow my email list. Hi Brian, thanks for your great comments. I’m glad you are enjoying Yoast SEO, I have found that it has helped me so much. Good luck with the forms plugin – it’s very easy to use. The technology behind plugin is one the best to have happened to website design. Gone are the days where you must be a programmer and graphic designer to build a website with plugin. With what WordPress offers, one can choose from thousands of options available and keep the website running in few minutes. Too many plugin with graphics slows the site as stated in the article. Hi Chris, thanks for the feedback. You are right, there are so many plugins out there today it’s amazing. It’s just a case of finding the ones that work for all of us and our websites. I read the whole review about this information.This really a great information about Best WordPress plugins 2019.I am new to the marketing profession. Your information has inspired me a lot.I like your post very much.I believed most of the people will like this post.This is very helpful information for us.Thanks for sharing this informative information. Hi, thanks for your kind comments. I am very happy that the post was useful to you. Plugins are the beauty of WordPress sites, without them, the fun and popularity will collapse. I am a new blogger, but I use a few plugins. One that I found interesting is steempress, it allow bloggers to cross post from WordPress website to Steemit social blockchain. I found it so fascinating.I will try Yaost plugin and see how far it will improve my SEO. Thanks for this. I hadn’t heard of Steempress before so I will need to take a look and see what it’s all about. I starting using Yoast a while back and it’s without doubt my favourite plugin.